FIFA Ultimate Team is a mode in FIFA ’13 that allows you to build your own team from the entire world’s pool of players to play offline and online with. With tournaments to win and matches against friends to compete in, developing a talented team is absolutely essential for success. While everyone starts off FIFA Ultimate Team with the a team filled with bronze level players (maybe a silver or two if you are lucky), from there you can follow a million different paths, some more successful than others. FIFA Ultimate Team Millionaire aims to ensure that the path you take leads to success and does so in the shortest time frame possible. Going from a team of bronze players to all gold in less than month may seem unrealistic, but with FIFA Ultimate Team Millionaire, the results speak for themselves. The guiding principle behind Ultimate Team Millionaire is that earning coins is best done through trading, rather than through tedious online matches. To afford a player like Messi or Ronaldo would require countless hours of play time to earn the required funds. Instead, by analyzing market factors and trading players wisely, players can earn significant coin in short periods of time. While some initial capital is required, the system that FIFA Ultimate Team Millionaire presents is easy to understand and enjoyable to implement. What’s more, the system doesn’t require long time commitments and can be utilized in as little as a half hour each day. FIFA Ultimate Team not only involves the intricacies of FIFA’s gameplay, but also the intricacies of the trading market. FIFA Ultimate Team Millionaire focuses on this second part, feeding you information, statistics and strategies to maximize your earnings potential. 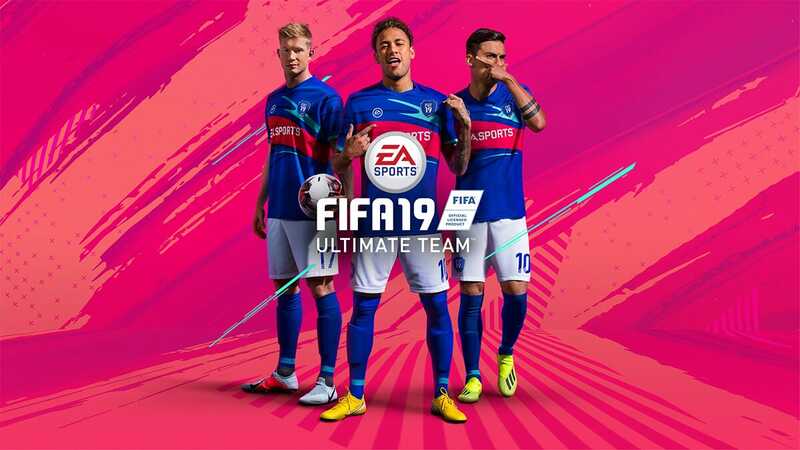 FIFA Ultimate Team Millionaire does this primarily with video uploads, weekly updates on lucrative trades, game mechanics exploits and a book to get you started. The book itself forms the foundation of the trading strategies you’ll want to use. Everything else provided by FIFA Ultimate Team Millionaire is more time sensitive and relevant to the present market. The content itself is compelling. The strategies legitimately work well and substantially increased my earnings. While the book provides a lot, I definitely felt the weekly updates were the most valuable in my trading. It allowed for me to stay up to date on current trends and to identify opportunities I’d otherwise have missed. The markets mechanics of FIFA Ultimate Team are fascinating and it’s an absolute blast to feel in command of those mechanics. I now even have Messi on my team, the TOTY. Two Million isn’t easy to come by, but was absolutely worth the purchase! To my knowledge, there’s no other resource like FIFA Ultimate Team Millionaire that provides this sort of content. So if you are really looking to start raking in some coins, this really should be your resource. FIFA Ultimate Team Millionaire sponsors a competition to earn the two million required to purchase Messi in just two weeks. I figured this would be a solid way to test the results of the guide. Of course, it’s unrealistic to expect success. Raising two million in two weeks would be downright staggering. I took one day to read the guide, study the videos and do a bit of analysis of the trading market. After that, I got down to business. I wasn’t able to dedicate a full two hours a day to the task, as recommended by Ultimate Team Millionaire to actually achieve Messi in two weeks. I have a job, friends, a dog and a girlfriend. That left me thirty minutes tops a day. Obviously given the circumstances, I wasn’t able to buy Messi in under two weeks. But I was able to earn enough to get Ronaldo, which isn’t a bad consolation prize! And, realistically, with enough time I could easily see the methods contained in FIFA Ultimate Team Millionaire legitimately allowing you to get Messi in two weeks. And if you manage it, you get a one hundred dollars in cash back. Certainly worth an effort, particularly if you have the time to invest and love FIFA Ultimate Team. FIFA Ultimate Team Millionaire isn’t produced by EA or even a midsized company. Most game guides aren’t anymore. Instead, they are made on home computers by enterprising gamers who master major aspects of the game. Many of these guides can be extremely valuable, but most lack the polish and professional look of guides released by the actual game companies. This is also true of FIFA Ultimate Team Millionaire. The videos are obviously home made and the book lacks fancy graphics and polish. But that doesn’t really matter, does it? The videos get their point across and you won’t be distracted by their quality. And the important parts of the book are in the words, not their appearance. Personally, I’ve been addicted to each iteration of FIFA since 1998 when they release the World Cup version for the PC. FIFA Ultimate Team is my single favorite addition made to the game since then. Building a team of players through the market is the culmination of years of development for this franchise. So, needless to say, I’ve played it a lot. I’ve always found FIFA ultimate Team to be challenging. I relied a lot on luck in getting new cards and that luck rarely dealt me a good hand! FIFA Ultimate Team Millionaire helps you to take command of your own team by enabling you to earn enough coins to make that a non issue.